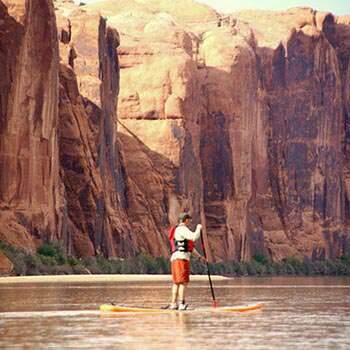 The Bureau of Land Management offers approximately 26 campgrounds in the Moab area. All individual sites are on a first-come-first-served basis only. Sites are not reservable. Sites can fill up quickly. Group sites can be reserved at Recreation.gov. All campgrounds are equipped with picnic tables, fire rings, trash removal and vault toilets. A $20 fee per night is collected at each campground, payments can be made by check or cash only. This campground is perfect for guests looking to remain in close proximity to the town of Moab and Arches National Park, while still being far enough away to enjoy the scenic canyon. Goose Island is the busiest/most popular campground due to it's location and usually fills in the morning hours. Pit toilets are available on site. Individual sites are first-come-first-served. Group sites may be reserved. Reserve Goose Island group site here. Located next to Grandstaff Canyon - a popular hiking area among locals and visitors to the area - this camp spot is perfect for outdoor enthusiasts! Pit toilets are available on site. This campsite is first-come-first-served, so it is recommended to snag a spot earlier in the day as opposed to later. This campsite is located right next to the river and spots are limited, so be sure to set up camp early as spots are first-come-first-served. Pit toilets are available on site, as well as fire pits and picnic tables. This first-come-first-served campground is located along the river with a grove of scrub oak trees separating the highway from the sites themselves. Pit toilets are available on site. Oak Grove Campground, located directly next to Hal Canyon Campground, is a beautiful campsite surrounded by scrub oaks and located next to the river. Oak Grove, however, is very open and great for viewing the majestic night sky. Both campgrounds are first-come-first-served and have pit toilets on site. This campground is an extremely popular campground among visitors and is available at a first-come-first-served basis. With small beaches, this is the perfect area to hang out and enjoy the river. *It is very important to note that the river is not safe to swim in without a life jacket due to tricky undercurrents. * Pit toilets available on site. Reserve Big Bend group sites here. Similar to the lower campground, Upper Big Bend Campground is a high demand first-come-first-served camping location. Great scenic views are available at all camping spots. Pit toilets are available on site. This campground is perfect for visitors looking for a campsite that isn’t too close to the bustling city of Moab. Located about 45 minutes from town, the night sky will illuminate like you have never seen before.Spots are available at a first come - first served basis. Pit toilets are available on site. Reserve Hittle Bottom group sites here. This first come - first served campground, set in a small grove of trees, gets the best of both worlds with the river just across the road. This is one of the few campgrounds in the Moab area that offers some tree shade. Pit toilets and picnic tables are also available on site. 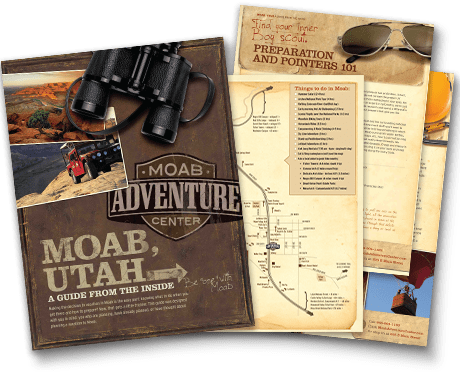 This spot is the perfect location for those wanting to remain fairly close to town, while also wanting a little quiet from the bustling town of Moab. This small first come - first served campground is great for visitors who would like a more peaceful camping experience, as camp spots are limited. This is one of the few campgrounds in the Moab area that offers some tree shade. Pit toilets are available across the road from the campground. This campground is an extremely popular site among visitors; especially large groups as it is one of the few reservable camp spots that offers large sites as well. Serene views are found at every angle and the campground is conveniently located just up the road from the Corona Arch trailhead. Pit toilets are available on site. Individual sites are first-come-first-served. Group sites may be reserved. Reserve Gold Bar group sites here. This riverside campground is great for visitors who are looking to stay relatively close to town, but far enough for a quiet sleep spot. With the open landscape, panoramic views are available from each camp site. This campground is prone to get mosquitos in the later summer months, make sure to bring plenty of bug spray! Spots are first come - first served, so be sure to snag your spot earlier in the day. Thiscampground is set in the beautiful Moonflower Canyon - and a short hike up the canyon will lead campers to the quaint pond that forms from rainfall each year. During the late summer, this campground can get a bit buggy; so remember the bug spray! This is a group campsite only, with no individual sites available. The nearest individual sites are available at Kings Bottom campground. Moonflower group site reservations can be made here.